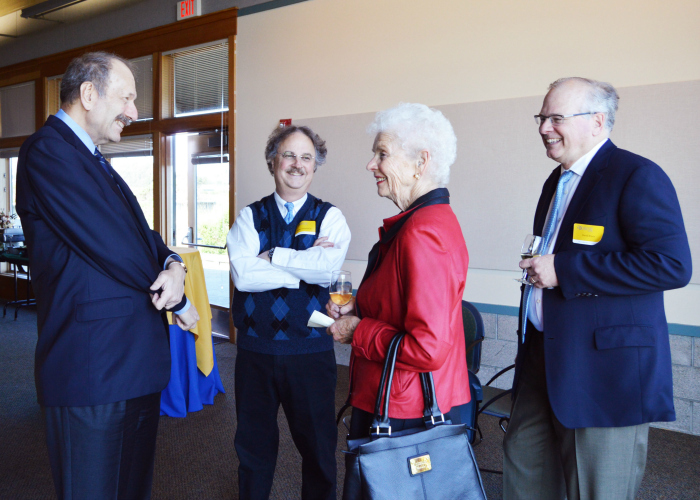 The Board of Councilors makes the selection from nominations from alumni. Past winners include two judges, a nuclear weapons policy expert, an educator and social justice advocate, a community organizer, fundraiser and philanthropist, a land conservationist, and an NPR correspondent. 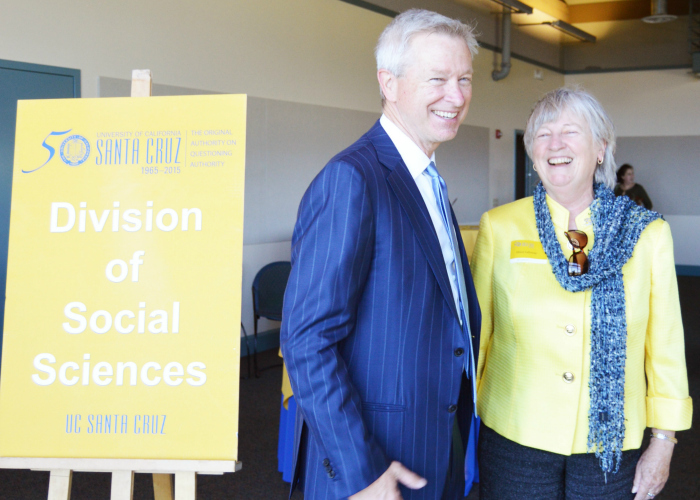 The award was presented Friday, April 24 in a ceremony at the La Feliz Room, Seymour Center. Photos by Melissa De Witte. 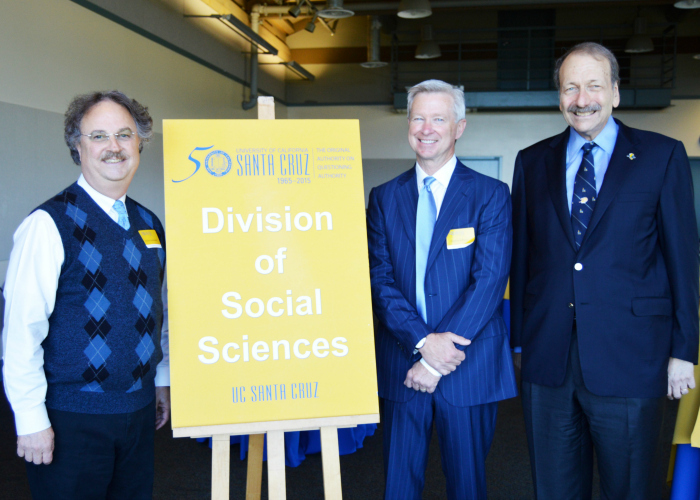 Right to left: Sheldon Kamieniecki (Dean of Social Sciences), Stephen Bruce (winner of the Distinguished Social Sciences Alumni Award for 2014-15) and George Bluementhal, (Chancellor of UC Santa Cruz). 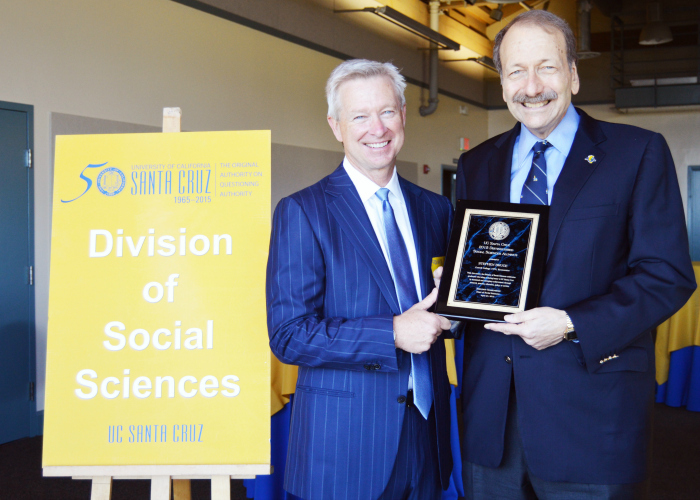 Stephen Bruce (winner of the Distinguished Social Sciences Alumni Award for 2014-15) and George Bluementhal, (Chancellor of UC Santa Cruz). 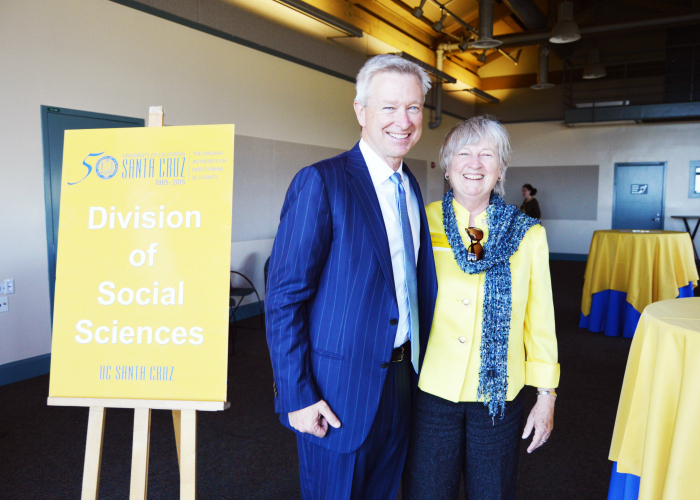 Winner of the Distinguished Social Sciences Alumni Award for 2014-15, Stephen Bruce, pictured here with Campus Provost and Executive Vice Chancellor, Alison Galloway.